The Digital Service Standard is in alpha phase and is intended for service delivery teams in Australian Government agencies. 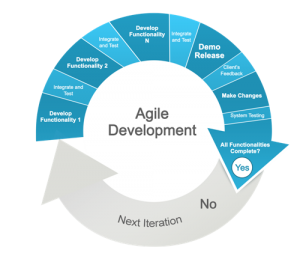 It is supported by Design Guides which include an Agile Guide for iterative and user-centred design and development. This Guide notes that Agile requires a change in mindset and is “about bringing together your existing people (business owners, designers and technical developers) to work together in a different way.” The Guide also provides a practical example by way of a link to how the Australian Government Department of Finance’s Online Service Branch adopted agile to improve service delivery. However, the Agile Guide also sounds a note of caution: “We know the agile approach can be difficult in government and there are specific contexts where a more traditional project management approach may still be required (for example, on complex applications with critical functionality, and when co-location is not possible for teams).” The Guide does not mention the political challenges which may make the agile approach even more difficult in government. These were discussed in our July article Advance australia.gov.au: Our Own GDS brawl? . From her experience, Jana lists the five most common mistakes CEOs and executive teams make growing a company and how they can overcome them. The mistakes and the ways of overcoming them sound a lot like Steve Denning’s advice on How To Make The Whole Organization Agile.